Scully is nonstop fun and excitement. 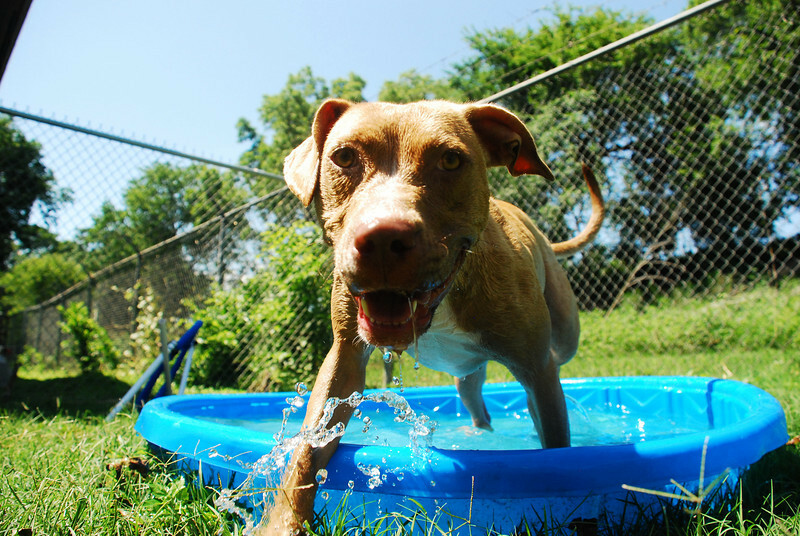 This go-go girl is always up for some play time, even on the hot summer days. Scully loves, loves, loves playing in the water. You can entertain yourself for hours throwing her toys in the pool and watching her retrieve them one by one. She will even fish treats off the bottom of the pool, plunging her whole head underwater. If you are an active and fun-loving person who loves water sports, then this exuberant young pit may be the perfect dog for you. To learn more, email Scully@TownlakedogsDOTcom to contact a volunteer, or visit the shelter.